#1: It’s been more than a year since your furnace was checked by an HVAC professional. To maximize the performance of your furnace it’s important to have it checked annually by a trained HVAC expert. This allows you to catch small issues before they become big problems and extends the life of your system. This is generally caused by a clogged condensate line, a problem best left to professionals because it requires a mix of HVAC and plumbing expertise to fix. If you smell gas from your furnace, shut it down immediately. . Next, open up your furnace, find the gas supply valve, and turn it off. No not light matches or turn on any lights in your home—and call a local HVAC technician as soon as possible. If you hear strange noises it may be an indicator that your furnace is in need of repair. Weak airflow could be caused by minor issues with fans to more significant issues with belts and motors. The most common causes for this are issues with the thermocouple or pilot light, both of which are complex components that need specialized expertise to evaluate. 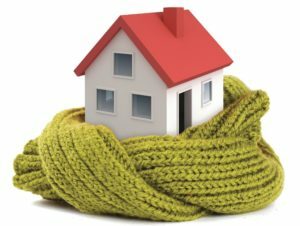 If you find yourself turning the thermostat up higher and higher to warm the house, it’s a sign that your furnace needs your attention and may be in need of repair. Another indicator that something is amiss with your furnace is a dramatic increase in your utility bills that doesn’t coincide with use. If you hear your furnace kicking on and off repeatedly, this likely indicates that it’s over cycling, which means it’s running more often than it should be. That’s a problem that may be caused by a clogged filter, improper air circulation, or complications with the thermostat. The best thing to do to address these issues and avoid further problems is to keep to a regular maintenance schedule. Preventative check-ups are a great way to lessen the odds of experiencing these troubles in the first place. Russett Southwest offers a Peak Performance Service just for this reason. Give us a call at (520) 629-9676 or visit us at russettsouthwest.com to learn more.